Before telling the real estate magnet to delete his Twitter account, Clinton posted a tweet describing “Donald Trump’s School of Philanthropy” as exploitative as it relates to his charitable donations. But Clinton’s latest line of attack against Trump infuriated myriad Twitter users, many of them all-too familiar with Bill and Hillary Clinton’s long-reported history of using their global connections to exploit poor people, as well as the land and resources of impoverished countries: namely, Haiti. 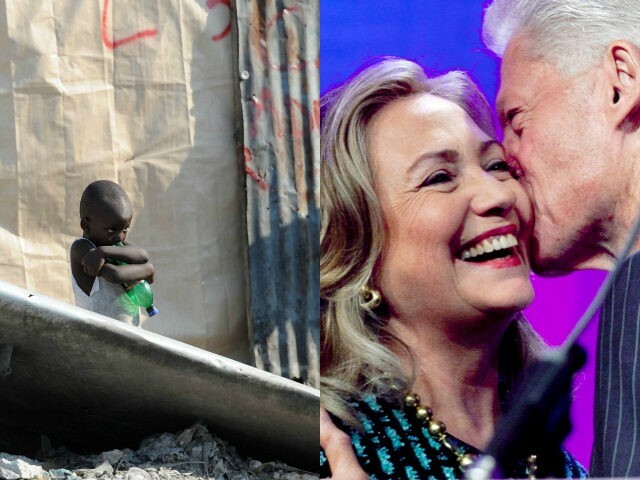 Indeed in the wake of the earthquake in Haiti in 2010 — while 316,000 lifeless bodies lay buried under rubble, and while 300,000 Haitians suffered from injuries, with another 1.3 million displaced — Hillary Clinton’s family and monied cronies cashed in on the back of the tragedy-stricken Caribbean country. Talk to me about Haiti, liar. I have this deep and sincere dislike for Hillary Clinton. Deep and MF sincere. She can see me anytime. Imma fight her in the name of Haiti. If I were HRC, I'd spend the rest of my life trying to right all the wrongs Bill & I did to Haiti.